Ginseng has been used for improving overall health. It has also been used to strengthen the immune system and help fight off stress and disease. There are different types of ginseng. Asian ginseng (from Chinese and Korean sources) has been used to improve thinking, diabetes, and male erectile dysfunction. 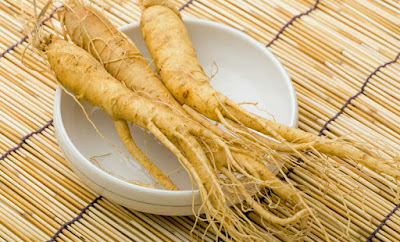 American ginseng has been used for diabetes and for reducing the risk of the common cold and flu. Siberian ginseng has been used for reducing the risk of colds and flu, and for reducing the severity of herpes simplex virus type 2 infections. Ginseng may be eaten raw, slightly cooked, in herbal tea or wine form or as a herbal powder. Its herbal extracts also have numerous uses. Buying the whole root is generally more expensive, but you can at least prove it’s authenticity, and get the root while fresh. Also, commercial refined products have varying doses of ginseng and may even contain other unnecessary ingredients. How you prepare your ginseng depends on the product you buy, with roots having to be either consumed after slightly boiling, or used to make herbal ginseng teas and wines. If the product is in powdered form, it’s advisable to take it in gelatin capsules with the dosage as recommended by your physician or pharmacist. Some herbal/dietary supplement products have been found to contain possibly harmful impurities/additives. You should check with your pharmacist for more details about the brand you use. If possible you should consider purchasing the root and preparing the variety of products yourself. It is, however, more expensive but also safer and you can trust it’s authenticity and lack of additives. You should also note than ginseng is mainly useful in alleviating symptoms of the mentioned conditions and might not necessarily cure the conditions.